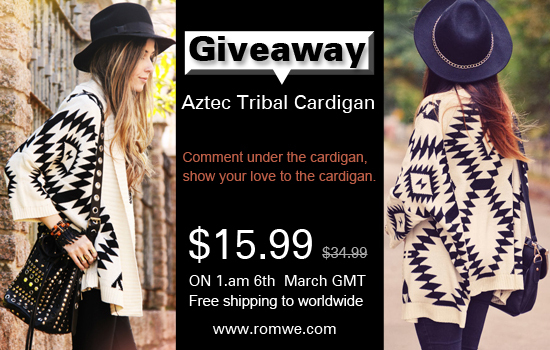 Alexa's Style Blog: ROWME Aztec Cardigan GIVEAWAY! 2. Tell me you have done it by leaving me a comment following this post. I will verify! 1 lucky winner will be picked in 5 DAYS! By the way, the cardigan will be only $15.99 on 6th March GMT. Save 54%. ROMWE Black Lace Blouse Giveaway!